Q: How do I attach photos to the pages of my photo album? A: Our leather photo albums have traditional scrapbook style pages made of thick card stock paper. This means that the pages are like a blank canvas, and the photos should be attached with some sort of picture mounts. Most of our customers find that mounting squares are the easiest way to attach photos to the album. Photo corners are also another option that works well if you want to be able to remove the photos later on. Double sided tape or glue sticks are also very easy and inexpensive ways to mount your photos. Q: Can I make a custom order, or have my item personalized? A: At this time we are not taking orders for custom or personalized journals or albums. For personalizing, most customers choose to take the item to their local engraving shop where they can personalize the item for your very quickly and inexpensively. Q: Do you have other sizes, colors, or styles available? A: All sizes, colors, and styles that are available are shown here on our website. Q: Where can I buy paper refills for your refillable leather journals & sketchbooks? 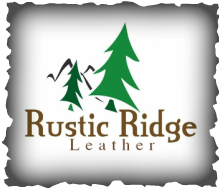 A: You can find our paper refills listed at the bottom of the Refillable Leather Journals page of our site. Q: Is the paper in your journals and photo albums acid free archival quality? A: Yes! The paper in our journals and photo albums is acid free, archival quality paper. This means that your writings or drawings will not fade and the paper will not yellow over time like lower quality papers do. Your writing and sketches will be preserved for many years to come. Q: What is your paper made of? A: Our paper is hand made from 100% cotton, making it completely tree free. A: Our products are also available for sale in our eBay Store, which is enrolled in the eBay Global Shipping Program. This allows you to purchase from eBay.com and have the item shipped to you practically anywhere in the world at a very competitive price.